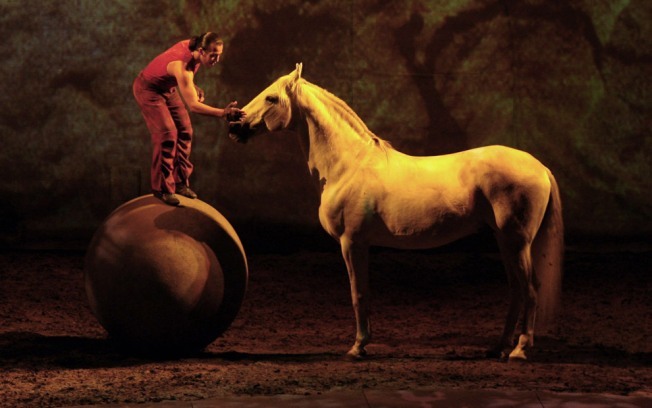 Cavalia is a multimedia experience involving horses, magic and emotion. Potent stuff. Beginning tonight and running through Dec 12, Cavalia is under the big, white tent at 4th and China Basin. From the release: "Blending dramatic visual effects, live music, dance, and acrobatics with the bold presence of over sixty magnificent horses, Cavalia raises the bar for spectacular enterntainment in the 21st century." More sugar! That should-be holiday mantra is celebrate in full tonight at the Exploratorium in San Francisco. The event, Exploratorium After Dark: Sugar, is a celebration of sugar in all its forms: fuel for the body, as a medium for artists, and more. Chefs and scientists, alike, will give some presentations. And there's even a creme brulee cart and other samples to be had. Tickets are $15 at the venue known to combine gallery, theater and cabaret.